As you all noticed earlier this month, Microsoft made SharePoint 2016 RTM officially available to download and trial. 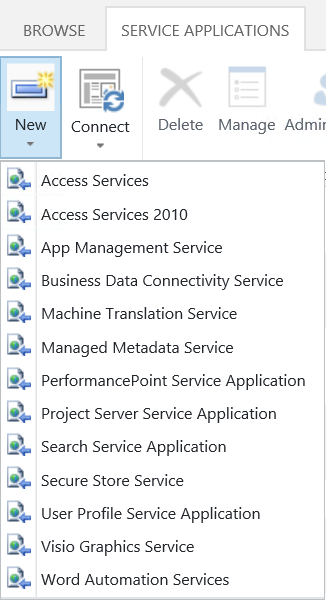 I noticed that Work Management Service got removed from the SharePoint 2016 Central Administration > Manage Service Applications > New menu. Here is the result. 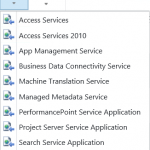 I did not find any official record, and it is not in the What’s deprecated or removed from SharePoint Server 2016 list (This list is dated March 11, 2016 and it applies to the SharePoint 2016 Preview). 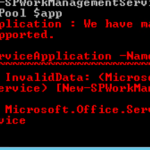 So in case you relay on Work Management Service in SharePoint 2013, be warned that there is no more in SharePoint 2016. It will properly be integrated in Exchange Server or maybe there is going to be a Planner on-premise version coming up.